Igarashi Shihan, 7th Dan (Hashimoto, Japan) will join our members, old friends, new friends and any practitioners who are interested in the art for “The Last Igarashi Seminar” in Calgary: June 30th to July 2nd, 2017. Sensei has visited Calgary over the past 20+ years, sharing his skills and knowledge of aikido to all who wish to learn. He will once more be instructing us, with precision and his special humour, on his vast knowledge of weapons and hand techniques. Whether you practice aikido, another art, or are interested in trying it out, this is the final opportunity to practice with this great master in the foreseeable future. 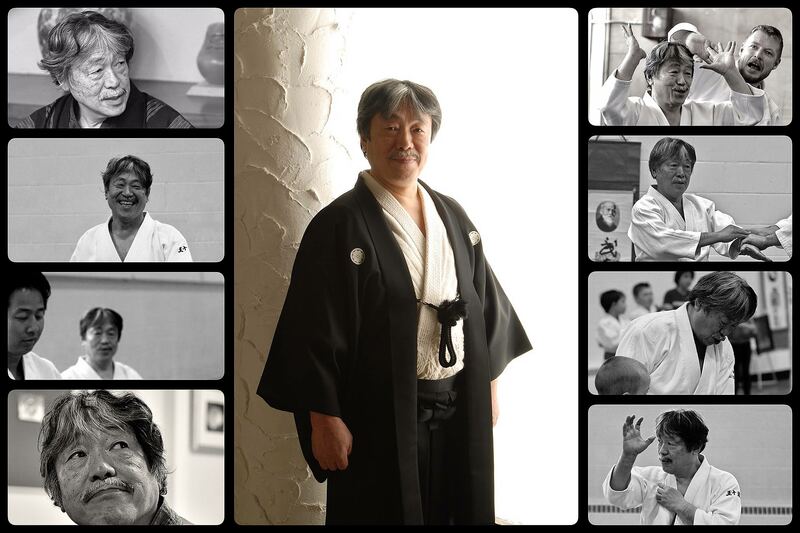 Since the passing of our founder, Inaba Shihan, in 2009, Igarashi Shihan has been Calgary Aikikai’s technical guide, yudansha examiner and consultant, as well as teacher, supporter and friend. He has decided to reduce his travel after this year, therefore, we will not be seeing him again in Calgary until at least 2020, when we hope to invite him to celebrate our 40th anniversary. In 2017 alone, Sensei is giving seminars in Taipei, Moscow, Argentina, California, Calgary, Sweden, Finland and Athens, Greece. These trips are on top of his commitments to his own dojos in the Tokyo area, plus seminars and exhibitions throughout Japan. See you on the mat in April.